Al Vecchio Convento | Chef under the bridge is coming back! 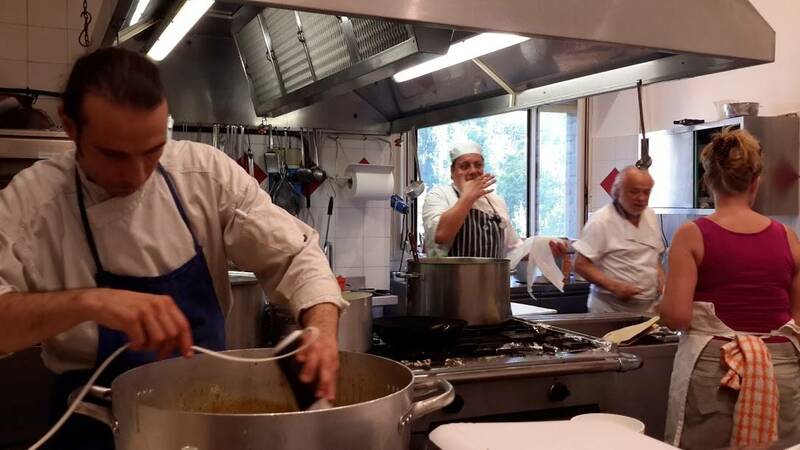 By now, it’s a pleasant habit none of you would do without: the best Summer event in the Montone valley is Chef under the bridge. A chance to visit Portico di Romagna in a different way. Follow the national Route 67 from Forlì, the main town in the area, passing through Castrocaro, Dovadola and Rocca San Casciano: you are entering the Romagna Toscana (Tuscan Romagna). Here, for over three hundred years, Florence and its noble families ruled and dispensed justice. As you can notice, buildings have a Tuscan aspect, even in the building materials. People still has a different accent in their pronunciation, which is more similar to the Tuscan one, more than what you can hear in the flat land. This will be the edition number eight, and it seems to be even greater than the others. The main protagonist will be the food, as usual, and the way in which chefs coming from all over the world, try to transform basic traditional local products of their original countries in a surprising way. For two days the kitchen of the Vecchio Convento Restaurant will speak many different languages but the international communication of the chefs will lead everyone to the final result which every guest in these years has tasted. 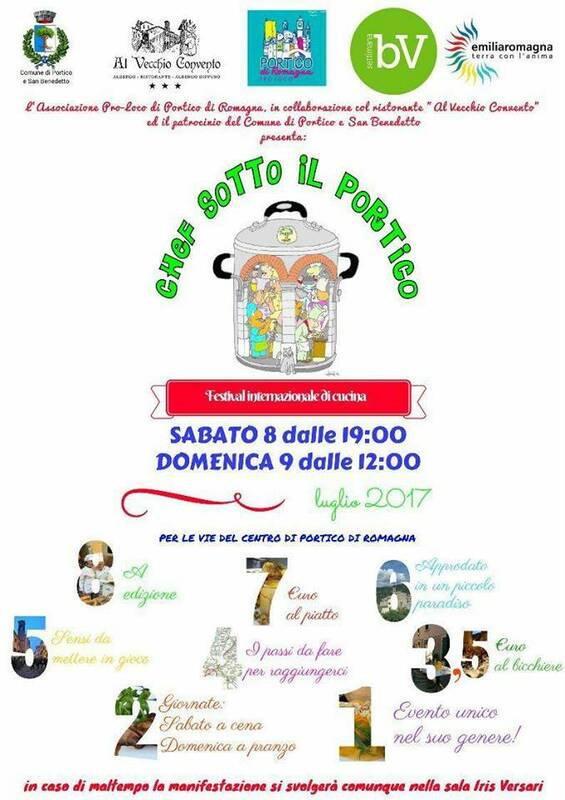 The format will be always the same: thirteen international chefs will arrange their stand in the main street of Portico di Romagna, offering their best dishes cooked at the moment. Some of them will cook entrees, some other the main dish, some other the rest. There will also be some cakes as a special end of dinner. People will also find some local stands with wines in order to match food with the proper beverage. This event is not a contest. What you will feel is the complete harmony between chefs and crews that work together. The aim is sharing knowledge and experience and meet new people, both professionals and visitors who will enjoy food and new tastes. The magical atmosphere of this medieval borough will be more enchanting during the evening when the main street will become an open air restaurant, lighted by candles. This edition will take place next 8th and 9th July. Be ready for the fun, enjoy food and wine, cooked with passion!